To be truthful, not very much at all. After an awful slump in February, I decided to put everything aside and take a short break. 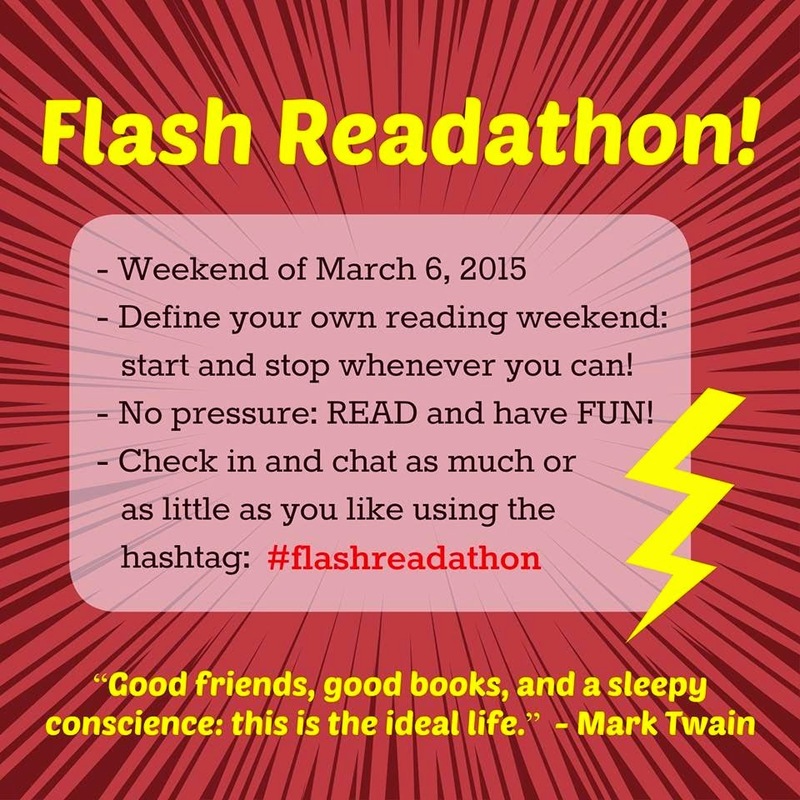 This weekend's Flash Readathon (#flashreadathon) orchestrated by Heather and Monika has made it easy for me to begin again. Yesterday I returned to My Brilliant Friend by Elena Ferrante and made it to the halfway mark. 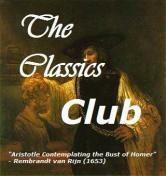 This is the first in a series of three novels, and it's rumored that the fourth installment is on the way. I doubt I'll be able to finish the book today, but still plan to set aside an hour or two for reading this afternoon. A return to Barsetshire! I'll continue our #6Barsets project by beginning Trollope's Barchester Towers. It is already loaded on my kindle and the audio version narrated by Simon Vance is on my phone. 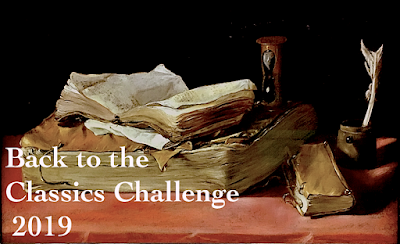 I hope to begin by the end of the week. Not much. The only thing I posted last week was a few final Sanibel Scenes. Grocery shopping (the cupboards are bare), dinner with my parents and siblings, and a little more reading. Sadly, no more Downton Abbey for another year. So it's back to the old routine for me this week. What do you have planned? Goodness--must be quite the shock to come home to all that snow after being down in Florida for two months. Hopefully May will come quickly. We had a bit of snow last week and it finally all melted yesterday, but this Texas Gal is definitely ready for some spring weather! 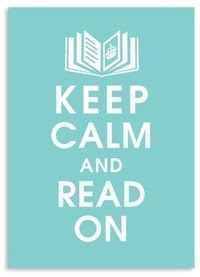 Hope you have a great week...and dig into a read that really sticks. Trish - A shock to the system, definitely... but thoroughly ingrained in memory. This has been a tough winter and I feel lucky to have escaped the worst of it. Welcome home! Your snowy vista is still so pretty! I keep thinking we need 2 inches of snow every three days to cover up all the old tired grey stuff that won't melt till August. :) Looking forward to Barchester Towers (will start this week, too...have one library book to finish first...). It's wonderful to be reading the #barsets with you. Audrey - The #6barsets seem to be a high spot in my otherwise lackluster reading year. Can't wait to begin Barchester Towers! Oh, it must have been a letdown coming home to all the snow. I am curious about An Unnecessary Woman...but I have yet to try anything in audio. I like going back and rereading passages, too. Laurel-Rain Snow - An Unnecessary Woman is probably not the place to begin with audiobooks. It's very good, but my recommendation will be for the print version. I keep seeing Unnecessary Woman coming up, I need to check that one out. Sheila - An Unnecessary Woman is turning out to be a wonderful book, but I'd recommend reading rather than listening. Amazing photo of so much snow! I think Spring will be late here in Virginia. I noticed today that the trees are still like sticks. No buds yet. It is warmer here though. Have a great week. Pat - I'm afraid we'll have to wait a long time for any buds around here. It will definitely be a late spring! Sorry you had to return already! Hopefully, your temps will warm up like they are supposed to here in MI. I don't know what I will do this evening since Downton is not on! It must be quite a shock to go from Florida to your snowy home. Let's hope spring comes soon. It's always good to be home but I can't imagine the temperature shock! I am glad to hear you're getting out of your reading ruts. I'm never quite settled feeling when I'm in one of those! Be careful in all that white mess and have a great week! Katherine - We had a beautiful sunny day today, and around 40 degrees! It made everyone feel like spring may finally be on the way. Goodness, what a jolt to the system after two months in Florida! You must just want to hole up and not leave the house! JoAnn I can relate to your lack of reading and posting as I've been suffering a bit of a malaise myself. Though I don't have the weather to contend with of course! Thanks, Deb. I hope the blogging and reading funk disappears very soon...for both of us! I've heard great things about My Brilliant Friend and I hope to get to it this year. Melinda - My Brilliant Friend is very good... makes me want to know more about all the characters. Hope the other books are just as good. OOohh An Unnecessary Woman sounds fascinating! Jillian - Oh, it is! I'm going to have to get a print copy and reread. I spotted the flash readalong too late to join in...not that I had time for much reading this w/e anyway *sigh. Your snow looks wonderful, but I'm glad it's not something I have to deal with. Brona - I only had a could of hours each day for the flash readathon, but since I always seem to miss the "main event" it was a lot of fun. Wow--your time in Florida really flew by! I'm waiting for library copies of both of your books. Welcome back to winter and happy reading! If it is any help, Spring has sprung in Wyoming, so it may be headed your way. Of course that is not to say we won't get more snow, but maybe not lots and maybe not too cold! All your titles are unfamiliar to me. I have seen My Brilliant Friend on another blog, but know nothing about it. Awaiting your reviews. Grammajudyb - I certainly hope your Wyoming spring is headed our way! Going from warm Florida to the cold North would have been so shocking! I am glad you got to spend two months in Florida during winter! While I always like coming home after any vacation, I do miss all that was good about the vacation. Hope you get settled down soon! Wow that is some extreme weather you have! 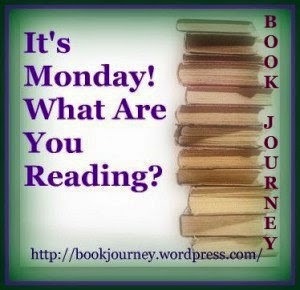 Happy reading this week, I hope you get back into it and enjoy it. Lindsay - We finally got some warmer weather today... so glad I missed the bulk of the winter around here. Hope to start Trollope tonight. 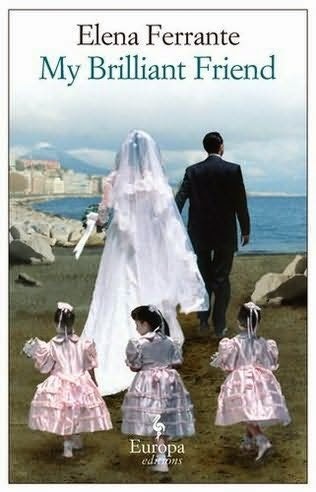 I have heard nothing but good things about the Ferrante trilogy. I hope you enjoy it (and that I get to read it one of these days)! Lindsey - So far, I think the Ferrant trilogy is worthy of all the raves! You're just in time for some above freezing temps! So sad that this is the first time I'm saying that in awhile. And - I had a slumpy Feb as well, but March is picking up a bit. Sarah - We hit 40 today and folks around here were ecstatic. We sure picked the right time to be away! Hoping to find a 5 star book soon... none so far this year. Hope you are settling in despite the cold weather. It's getting warmer here but still lots of piles of snow in this neck of the woods. I'll look forward to hearing your thoughts on Barchester Towers. Monica - Barchester Towers is off to a very strong start! Argh to the snow, lol. I'm tired of it. The owner of the bookstore where I work is reading that same series (My Brilliant Friend) She says a lot of good things about it. I'm glad you're enjoying it as well! Monika - Thanks for hosting! It was just what I needed to get back into a reading groove. I haven't posted a thing on my blog since last Sunday! I have six reviews to compose, but life has a way of interfering sometimes, doesn't it? 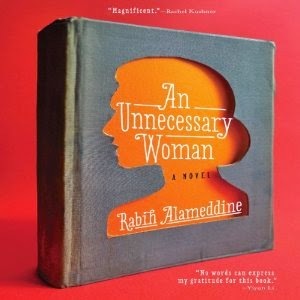 I've added An Unnecessary Woman to my TBR list and will be sure to read the book rather than listen. Thanks for the heads up! Speaking of heads, thanks for the recommendation for Heads in Beds. I listened to it last week and thought it was a great book and I can't wait for my husband to read it. I wish he enjoyed audio books as much as I do (or even just a little bit! ), since I think it would be fun to listen together on a road trip. Have a good week, JoAnn! Les - We're thinking of heading back to Florida for a little longer... it's snowing and cold again today. Glad you enjoyed Heads in Beds. It was definitely the right book at the right time for me. I can't believe the damage the deer have done this winter. Usually a dog in the house keeps them away, but since we were gone... There will be quite a bit of landscaping to be done this spring!